2019 Apple Festivals in California - Where, When and More to Find an Apple Festival Near You! Looking for a apple festival in California in 2019? (just scroll down the page)There is no other listing as complete and current as this list, just updated! All the apple festivals in California we can find are listed on this page! If you love strawberries, look for a festival near you below! And I'm always looking for more apple festivals! Please write me, if you know of any to add! I update the dates as soon as the festivals publish their information, but you can always click on the links (usually the name of the festival) to see the current information on the festival's own website. Humboldt County, PO Box 1000, Fortuna, CA 95540. Phone: (707) 725-9261. Alternate phone: ( 707) 725-0806. Email: [email protected]. Cider works tour and an Apple Harvest Festival. Directions: Citywide Take Kenmar or Main St exits from Hwy 101 and park at one of 5 venues. Free Haywagon rides take you from there to Festival sites. 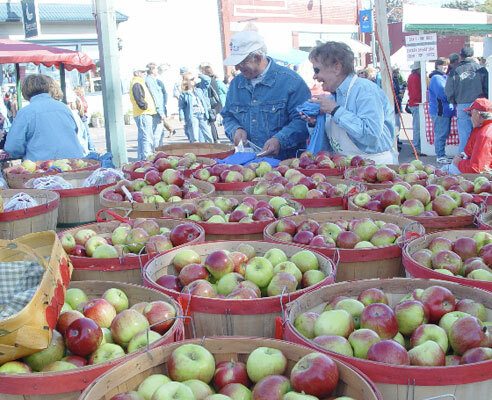 The festival celebrates historic Apple Harvest & Fortuna's Clendenen's Cider Works & Orchard. Johnny Appleseed Days Festival - Saturday and Sunday in October from 9 am to 4 p.m.
Paradise, CA. The festival celebrates John Chapman, better known as Johnny Appleseed, who traveled for most of his life across the U.S., planting apple seeds and encouraging settlers to plant apple orchards. An annual event, the first such celebration was in 1880 and was called the Harvest Home Festival. It continued through the years with some name changes and postponements due to war years, etc. In 1968, it was finally named the Johnny Appleseed Festival. Menghini Winery Julian Orchards Lane, Julian , CA 92036. Phone: 760-765-4758. Email: [email protected]. Directions: Menghini Winery is located 2 miles past Julian at the corner of Farmers Road and Julian Orchards Lane. 760-765-2072. And for a map to our farm, click here. Crops are usually available in October. Open: Saturday and Sunday, October 4th and 5 Thursday, 2008 10:00 am to 5:00 pm. Click here for current open hours, days and dates. Payment: Cash, only. U-Pick Apples located nearby - Peacefield Orchard, 3803 Wynola Road, 760-765-0530. Ragle Ranch Regional Park, 500 Ragle Road, Sebastopol, CA 95472. Phone: (707) 837-8896 - Message Returned Promptly. Email: [email protected]. 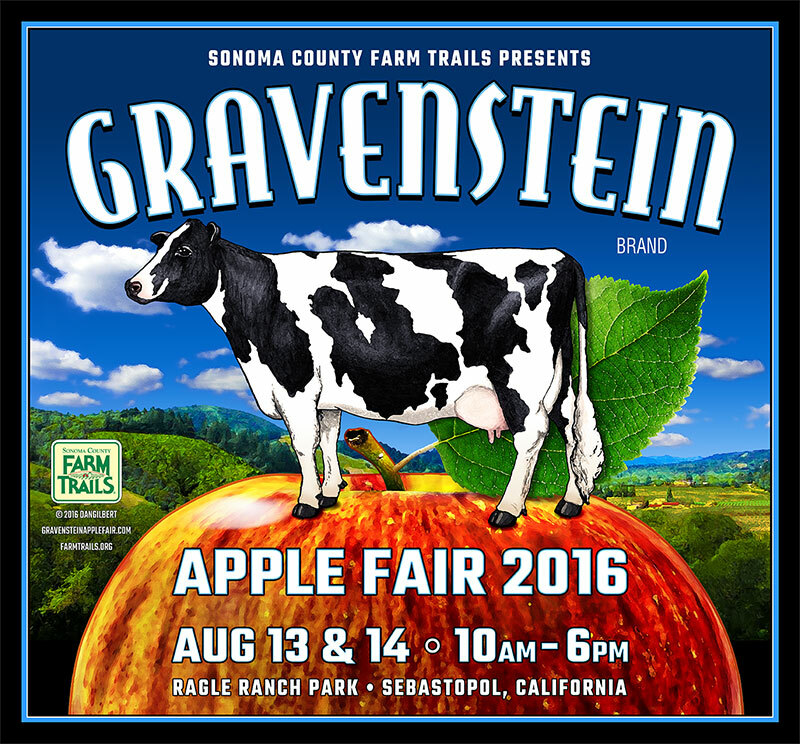 The 43rd Gravenstein Apple Fair will be held on August 13th and 14th, 2016 under the shade of majestic oaks in Ragle Ranch Park in Sebastopol. Join us for a weekend of old-fashioned fun. There's something for everyone: live music on 2 stages, arts & crafts vendors, excellent local food, wine, cider & beer, contests & activities, children's corner, chef's tent, artisan cheese tent, do-it-yourself tent, life on the farm arena and of course our famous heirloom Gravenstein apples. Apple Butter Festival at Riley's at Los Rios Rancho - Event dates: Thanksgiving weekend, from 10:00 am to 5:00 p.m. each day. 39611 S. Oak Glen Road, Oak Glen. Phone: (909) 797-1005. Contact: Devon Riley, email: [email protected]. Directions: Take the Yucaipa Blvd. exit from I.S. 10; turn left on Oak Glen Road and follow the signs near the crest of the hill to Riley's at Los Rios Rancho. The Apple Butter Festival is free to the public and includes a hands-on demonstration of apple butter making the old-time way, outdoor pioneer games, music, carriage rides, and more. Saturday's events include the "Lighting of the Ranch" at dusk, when the giant pines at the entrance will be illuminated to welcome in the Christmas season. Guests are invited to make apple garlands and popcorn strings to help deck out the ranch for the holidays. An old-fashioned hoedown (tickets required) Saturday night will feature music by the Riley's Mountaineer Band.